Photograph for Daily Record and Scottish Apprenticeships 2018. Mother and daughter team Maria and Naomi Reilly, who both work as apprentices at BAE Systems. http://www.1blueharbour.com/wp-content/uploads/2018/03/DSC01048-RT-website.jpg 782 1440 admin http://www.1blueharbour.com/wp-content/uploads/2015/02/web-logo-reversed-300x72.png admin2018-03-13 17:14:362018-03-13 17:16:55Photograph for Daily Record and Scottish Apprenticeships 2018. 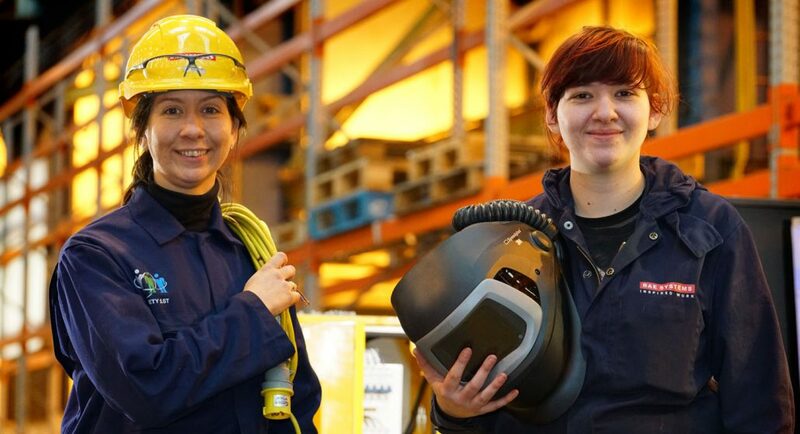 Mother and daughter team Maria and Naomi Reilly, who both work as apprentices at BAE Systems.